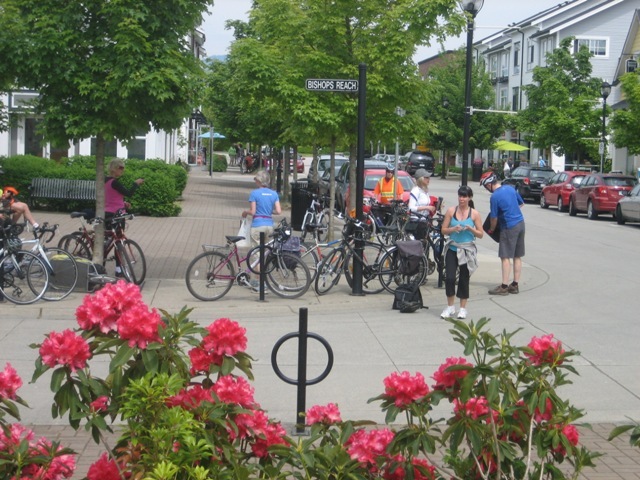 On Mother's Day, Sunday May 8, we'll do another tour by bike of art studios in Maple Ridge during the annual Art Studio Tour. 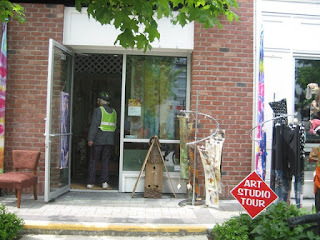 The Art Studio Tour is on the whole weekend. For details, see the Art Studio Tour website. It's a lot of fun doing a tour by bike, as it adds an element of adventure, and it's cool doing it with a group of like-minded people, but if you wish you can do it on your own as well. We can send you a map on request and you can print it out yourself. We're offering a flat route, quite similar to the one we did last year, and a hillier route, with studios that we haven't visited before. The hillier route is a great option for those who wish to get some additional health benefits from pedaling up some hills. I hope to do the hilly one myself this year. Who wants to join me?? We will be riding in groups of 9 people or less. We need to be prepared volunteer-wise, as each group needs at least one, but preferably two volunteers to guide the group. That's why we ask people to register ahead of time, so we know how many volunteers we're going to need. We may have to cap the number of participants if we can't get enough volunteers. We can possibly also hand out maps at the start of the ride, so those who wish to do so, can do the tour on their own. 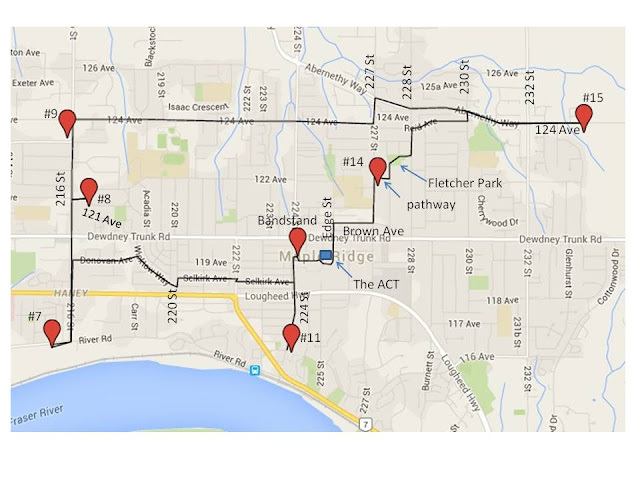 Start time for each route is 10 am. Please arrive 10 minutes early to sign a waiver. We'll probably finish some time between 3 and 4 pm, so bring enough water and some lunch. Several studios will be offering snacks and drinks. 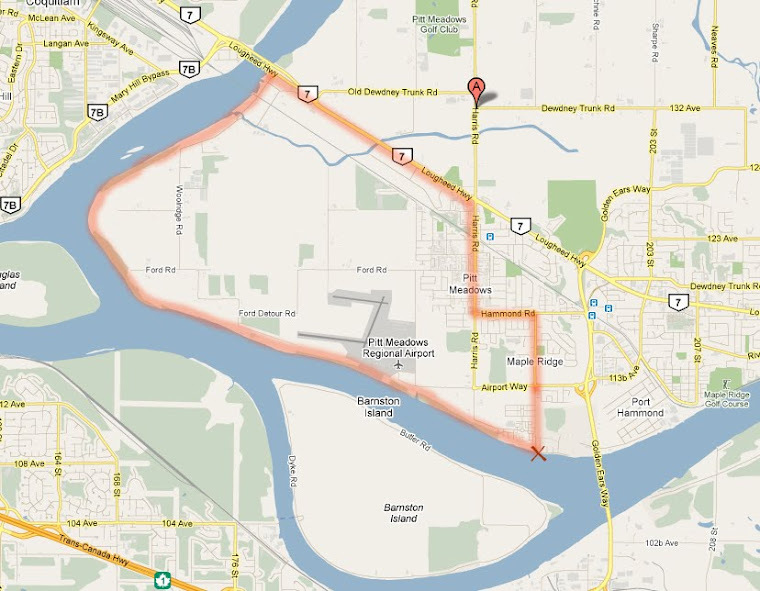 The flat route will start from the Bandstand at Memorial Peace Park. 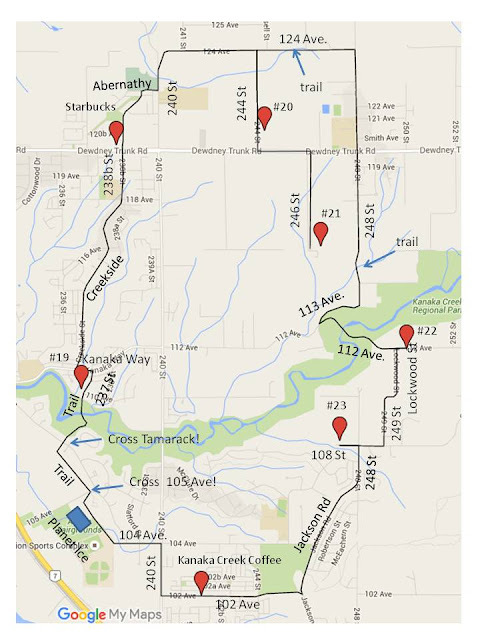 The hillier one will start from Starbucks at 240th Street and Dewdney Trunk Road. If you're planning to do either route by yourself, you can of course start anywhere you like along the route. Another good place to start route #2 from would be Kanaka Creek Coffee on 102nd Ave. Contact Barry (nobell@telus.net) to register. Please specify which ride you would like to do. If you would like to go at your own pace, please contact Jackie (jchow23708@yahoo.ca) to obtain a map with artist list. Please note that HUB volunteers do not assume any responsibility for the safety of participants. If you decide to participate with any of our rides, you do so entirely at your own risk. Please obey traffic rules and regulations during the ride. For these rides, we do not encourage participation of kids under 16 years of age on their own bikes. We're ok with kids in trailers (flat route only! ), but again, parents are entirely responsible for the safety of their own children. You can find the maps below.